Whether it is a situation of chipped teeth, crooked dental formula or damaged gums that make you feel uncomfortable, Dr. Warren Rensner a Wichita emergency dentist will always be there to help you. The health and wellness of a person is very important especially when it comes to the dental formula. This is a health need that is overlooked by many people because they think that it is not as important as the other health issues. Dental problems are important and should be catered for just like the other types of sickness because it can also lead to a lot of damages if one is not careful. Accidents occur any time of the day and night which is why you need to have an urgent situation dentist that you can run to when one occurs. The question that many people ask is how to find an apposite dentist for them. Finding a emergency dentist in Wichita. When you are searching for the right emergency dental clinic, it is important to consider what the American Dental Association recommends. There are various channels and avenues that one should use and the first one includes asking members of the family, neighbors, friends and even co-workers if they have any recommendations of a certain doctor. This is important because they might know some of the best emergency dentists who will be able to help you any time you need assistance. The internet is the other lucrative source of information. All dentists have websites where they connect with people. The reason why websites are good is because they have detailed information including videos, hours of operation and anything else you need to know. You are going to find all the detailed information you need on the website. It is important to know you and your emergency dentist will be long term partners in matters of health. 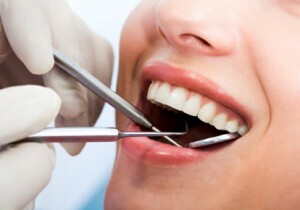 Therefore, it is imperative to find a dentist you can like and trust. You will need someone who you can call any time in case of an emergency. Below are some of the things that you should look for when choosing a dentist. The first one is office hours. Some of the things to consider are whether a office runs twenty four hours a day or if they have specific times available. The other thing to look for is the location of the dentist. Their office should never be far way from where you live, since an emergency can occur any time and you will need to get there quickly. Maple Park Dental Centre is located in west Wichita. The other important factors are training and experience. This includes looking at those places where the dentist trained, the years of experience and successful treatments he has had on other patients. You should also look at the type of insurance that is acceptable and if there are arrangements that can be made outside office hours.